How has God used a humbling experience to help you? Early one Sunday morning when the rest of the family was still fast asleep, I was taking a shower. Suddenly I had a great pain in my chest and a temporary problem of breathing. The pain in part subsided. I quickly got out of the shower and went to my study. I figured that I was not only going to be able to preach that Sunday morning as planned, but as a moderate pain persisted that I was not going to be there for my family anymore. I humbled myself on the floor. I could see my whole family and ministry flash through my mind. Each significant aspect of my life was being taken away from me. On my knees with prayerful tears, I said good bye to my wife, my children, one by one. I gave back the pastoral ministry to the Lord which He had entrusted to me. I gave up my own life to the Lord and readied to be taken. I was ready to go, but the Lord decided to keep me alive for a while longer. Later that night, at a cell group, two friends persuaded me to visit the emergency room and check out that minor but constant chest pain. A little nitrogen glycerin cared for that, and I checked out fine. The lessons I learned, however, penetrated deeply into my soul. I humbly realized that no matter how much I was around, it was the Lord that was going to care for my precious wife and children. He would do this. As I gave each of them back to the Lord, the Lord has since then greatly deepened my relationship with my wife and probably doubled the number of children that I have. I humbly realized that ministry comes and goes. My work in a sense is not the truest picture of my life. It, of course, reflects it, but the Lord controls growth. God looks at my heart and evaluates how I deal with people. I learned again that my "day to work" could be up any moment. My labor that counts is only that which is done for His glory. I humbly realized that I was who I was. By this, I mean that I could not fake my real identity before God. He saw through me clearly. He helped me to get a very realistic picture of me through my early morning tear-formed lens. Part of the time was spent in confession and repentance. Part of that time was spent in expressing my gratefulness of how far the Lord had taken me. The words 'to die daily' have a deeper signficance for me. In a sense, I need to do this each day. I can't treasure anything more than the Lord. This would be idolatry. I can't care for my responsibilities without Him. Everything now seems so temporal. I want to be ready each day to go home to be with the Lord. This is a testimony from a 6 year-old boy. I will keep my eyes on the crucified Christ. I will be empowered by the love of Christ. I will quickly obey the promptings of the Holy Spirit. I will be the least, the last, and the lowest. I will look to my eternal reward. "I wanted to tell you how some of this has been true in my life. At worship time every day, each child in our family draws a business card out of a basket. Each card has a number on it: one through six. Those who draw numbers five, four , three, and two get to sit on the sofa. Number one and six have to sit on the chairs. Two times I traded places with someone on a chair so that they could sit on the sofa. I was the least, the last, and the lowest. I also want to let you know that the prayer request that I made is now being answered. I am now able to focus on the Lord, and pray with more power. I have the ability (not, I but Christ through me) to allow my stomach to be empty, instead of eating all the time. God has taken all fear from me; unbelievable, no? It's hard to believe, since I have always been an anxious and depressed person, to some degree. I know that God gets the praise for this. I now only want to serve Him and to demonstrate to others, especially to my students, that they can have the same peace (through Christ) that I have. It took me humbling myself, and confessing to others (as I did to you), but God's love and faithfulness conquered my fear, my depression and my lackadaisical attitude as a Christian. Please share this testimony with others, if you like. It is a testimony of one who was weak and distressed; of one who was a poor example of a believer; but also of one to whom God showed mercy to. This is for anyone who thinks that they are beyond hope. that He may exalt you at the proper time. Humbling myself is an action that I can deliberately take. Just last week, the Lord gave me a great lesson on this verse. I bought a second hand white car a while back. It had a long 'key' scratch all across the hood, back and forth. A key scratch is when someone takes a key and scratches a long scratch across your car. It was painted over, but it still looked bad. Every time I got to drive the car I felt bad about the scratch. I almost felt the hate from the person who did it (to former owner). I just tolerated it. Recently, I gave a friend a lift to have his car fixed from an accident. I liked the owner and his work and so I casually asked how much it would cost to fix the front of my hood. He said $175. I figured something like that. As I traveled home I thought whether I should get that fixed or not, that is, if I did have the money. I decided that it would not be good to spend that much money on cosmetics, just the outward appearance. I told the Lord in a conversation with Him how I felt each time that I saw it. But then, I realized this is the year He is especially teaching me about humility. 1 Peter 5:6 immediately came to my mind. And so I told him that I would not get the car fixed even if I had the money to fix it. I deliberately accepted this lesson of humility each time I would get into the car. It was okay. I needed the lesson on humility. If He thought that it should get fixed, then He would decide that in His time. I will allow Him to exalt me in His time if He so chose. Just a week or two later, it happened. My car's two side doors were crushed a bit by another car. So I went back to this man who fixes cars. He gave me an estimate on the car. I asked him to give me a side estimate on the hood. It was immoral to have the insurance company to cover the hood when it was not from that accident, even though it is common to do this. I chose not to use this shortcut method to 'exalt' myself. I would let God do it if He so desired. The good news was that to fix it now while he was fixing other things was cut way down to sixty dollars. Hmm. Would I fix this now, that is, if I had the money? I did not have to think long. When I talked to the insurance agent, he said that they would also cover a rental car for three days. I told him that I probably didn't need that. But he said that it didn't matter. He would still send the check for $75, and I could spend it however I wished. Again, I was being very deliberate in not taking an immoral shortcut to get money to fix the car. But because it is policy to give it, then it was okay to receive it. I just did not want to deceive the insurance man to get the money when I was not planning on getting a rental. God 'exalted' me! I used that $75 to pay for the $60 repair and had a little money for gas too! Praise God. Instead of looking at a scratch, I will now remember that lesson on humility every time I get into that nice shiny white car with a nice clean smooth hood. Order The Godly Man in print! 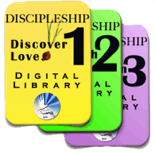 Or get the BFF Discipleship Library which has the eBook The Godly Man and many other rich materials. See more at the BFF Resource Center!